The Achilles tendon is a long tendon that connects the heel with calf muscles. The function of the Achilles tendon is simple but crucial: it allows you to extend your foot and point your toes to the floor. Feet problems like flat feet. It leads to disposition of pressure on the foot. Too tight muscles/tendons in the foot. 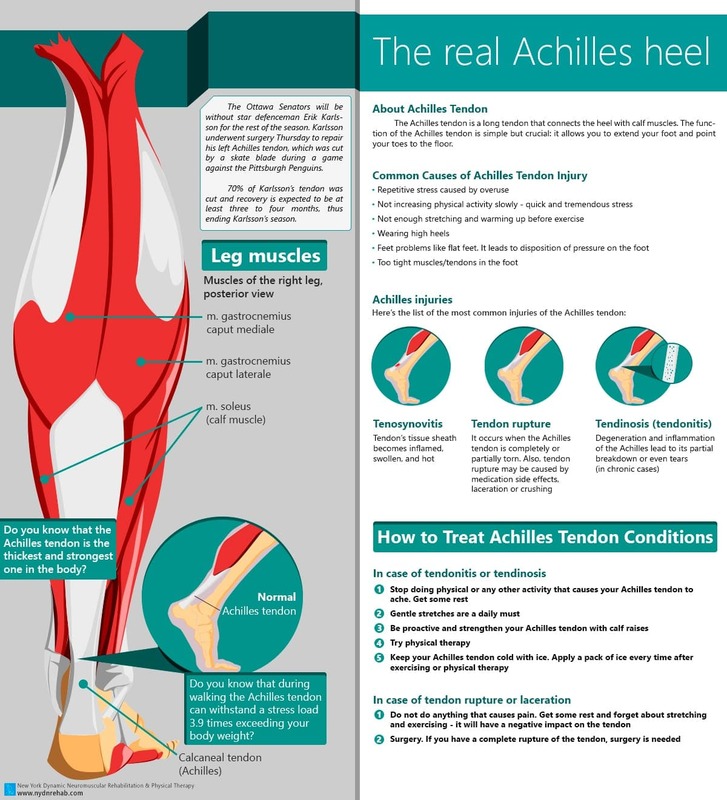 Do you know that the Achilles tendon is the thickest and strongest one in the body? Do you know that during walking the Achilles tendon can withstand a stress load 3.9 times exceeding your body weight? It occurs when the Achilles tendon is completely or partially torn. Also, tendon rupture may be caused by medication side effects, laceration or crushing. Degeneration and inflammation of the Achilles lead to its partial breakdown or even tears (in chronic cases). Stop doing physical or any other activity that causes your Achilles tendon to ache. Get some rest. Keep your Achilles tendon cold with ice. Apply a pack of ice every time after exercising or physical therapy. Do not do anything that causes pain. Get some rest and forget about stretching and exercising – it will have a negative impact on the tendon. Surgery. If you have a complete rupture of the tendon, surgery is needed.